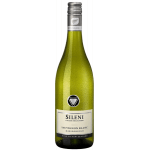 Sileni Estates produces the Sileni Cellar Selection Sauvignon Blanc 2018 (£7.22), a white wine from Marlborough made of sauvignon blanc of 2018 and presents an alcohol content of 12%. The Sileni Cellar Selection Sauvignon Blanc 2018 is the ideal white to combine with seafood and fish. Uvinum users evaluate this white wine with 4 out of 5 points. Would you like to taste delicious wine from South Africa? 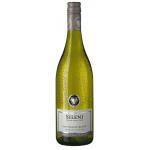 Then take a closer look at the most popular product from the winery Sileni Estates. The Sileni Cellar Selection Sauvignon Blanc 2018 is the grape variety Sauvignon Blanc, which actually comes from France (Bordeaux), but also produces great wines in South Africa. It has an aroma of gooseberries and tropical fruits and has a fresh and long finish. Enjoy this wine best with fish or chicken. 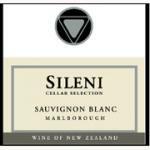 Over all, the Sileni Cellar Selection Sauvignon Blanc reminded me of white flowers. It was harsh in the mouth for a Marlborough. Sileni Cellar Selection Sauvignon Blanc 2018, more than decent wine. Very balanced, fruity fine Sauvignon Blanc. Pair 1% with some delicious seafood. I drank it with my best friend. The golden yellow is a central charakter in this wine. Summerly aromas of daffodil. It tastes like honey and nuts. We drank it with a spicy rice. A white which I enjoyed with my friends. I was impressed by its colour. Smells really good, like banana and lychees. Light on the palate. If you want to buy Sileni Cellar Selection Sauvignon Blanc 2018, at Uvinum you will find the best prices for Marlborough white wine. Purchase it at Uvinum at the best price, fast, easy and 100% safe. We're the only site in Europe with more than 59.000 products for sale becoming this way the biggest online shop to sell wine, beer, and spirits in Europe thanks to more than 38.000 customers who trust us.